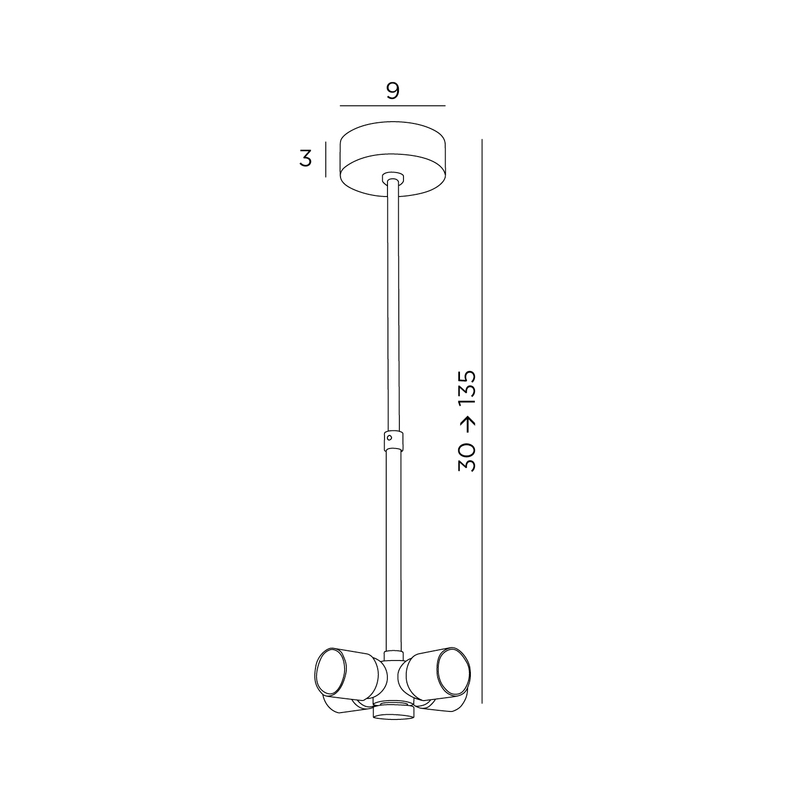 Suspension for big shade (Ø 100 cm or more with special attachment in the shade). 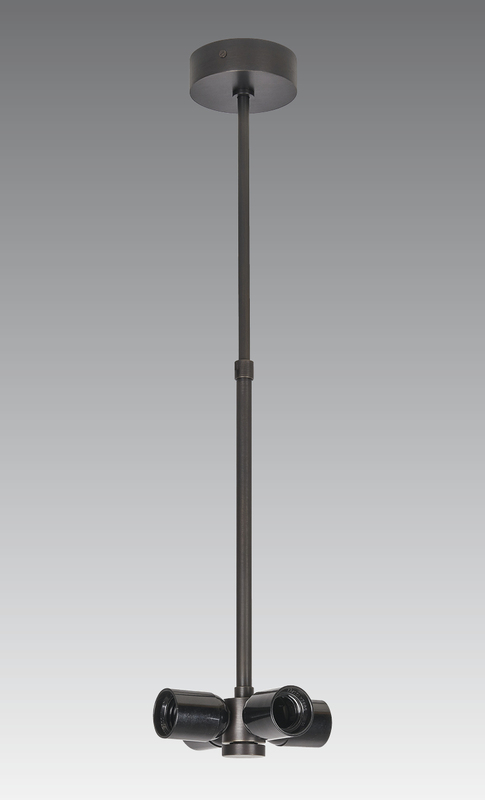 Including enhanced round base, a set of adjustable tubes to adjust and a "nourrice" with four E27 fittings. Adjustable in height when mounting.